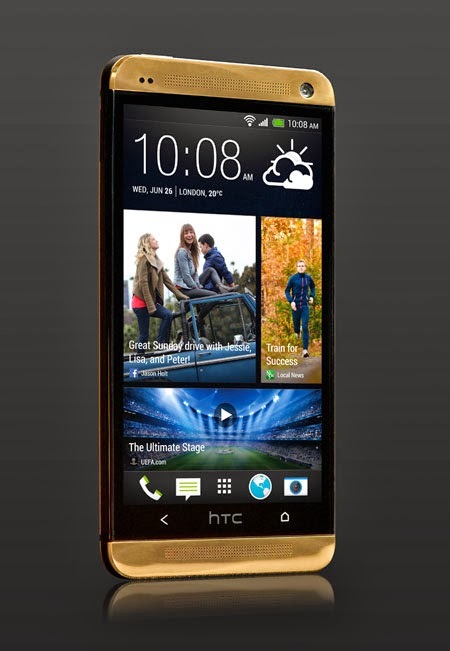 iPhone 5s gold is not real gold plated officially but now htc company reveals their gold htc one edition which is 18 carat of pure-gold, it is most expensive gold plated phone yet, worth £2,750. 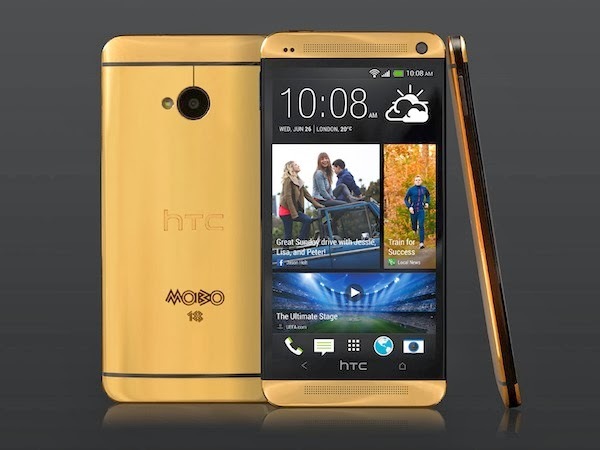 In the previous post we posted third party htc one gold edition made by goldgenie jeweler cost around £1,895 factory locked phone, The gold phone of htc produced only to celebrate the 18th Anniversary of the MOBO Awards with only five creates all five of gold htc present in this year's ceremony in Glasgow on 19th October, Once who made the best quality and design they will be a winner of the newcomer category sponsored by HTC. 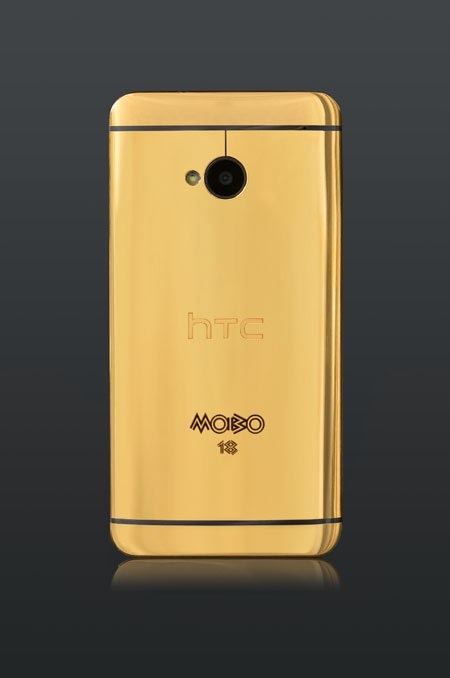 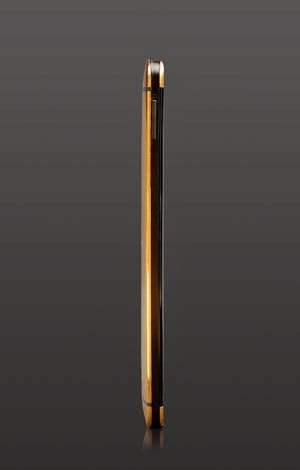 So, finally coming the gold edition of HTC ONE exited this would be an exclusive eye-catching device.